Details regarding the new Equality Bill were announced last Thursday. The Bill seems to be an attempt to consolidate existing legislation related to discrimination – a seemingly uncontentious issue – however combined with this are some new proposals which seem to be garnering attention in different ways. Community Care unsurprisingly, considering the target audience (social care workers, predominantly) , highlights the inclusion of outlawing age discrimination and the implications that that could have on the provision of social and health care for the elderly population. It has long been the case that less money has been assigned to older people’s care services when compared to that of younger adults. The same levels of funding and flexibility are not allowed in the provisions of care for the elderly and it has long been an area that I, personally, have had issue with. Conversely, an equality of service can lead to a massive increase in budgets for the elderly – or a massive drop in budgets for younger adults – which, in my own cynical way, I see as being more likely. ‘While age discrimination is outlawed in employment, it is currently the only equality dimension – the others are belief and religion, disability, gender, race and sexual orientation – where discrimination is legal in the provision of goods and services. So this has the potential to be ground-breaking legislation – but I have to retain a healthy dose of scepticism because some of the financial considerations about providing an equality of service could be massive. Still, I shouldn’t be too churlish – this is exactly what I’d been waiting for in the services for many years. Hopefully, it will mean that assessments can be truly needs-based rather than having to be divided and considered on the basis of the age of the person concerned. Ironically, at the moment, I am working with a woman with early onset dementia (because our team, although basically working with over 65s, does work with people diagnosed with early onset dementia due to the expertise in dementia that is held) – she is in her 50s and because the structure of some of the budgets that are held by the department and the provision of services are geared around over 65s, it seems to be an abnormal challenge to the system to coordinate the funding for her care. 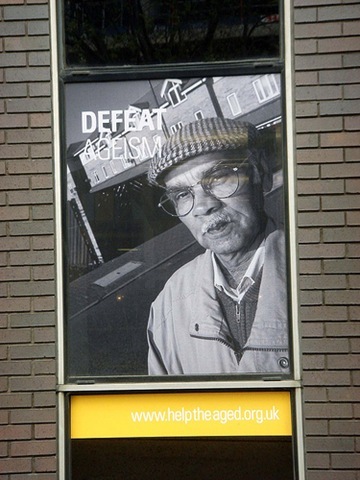 Adult CMHTs push it back to the Older Persons’ CMHT – who push it back to the younger adults services. And so on (the pushing, by the way, is being done by the financial managers rather than the practitioners!). The lack of flexibility when it comes to budget-holding is thunderous – to the detriment of the provision of service – well, actually it is to the detriment of the provider of the service as we went ahead and arranged a service for her according to her need – it is just now that the different financial departments are actually refusing to pay the bills that the problem has arisen. She, herself, is fortunately oblivious to the pushing and shoving behind the scenes. « Multi-disciplinary working.. or not.